James came to me in August 2016 to help him create a new business idea – CollegeConnect. 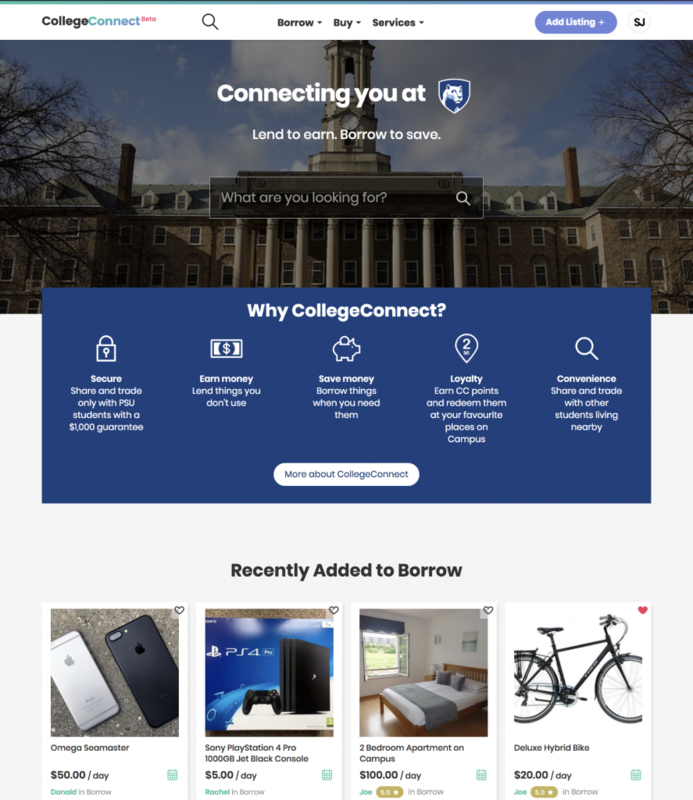 CollegeConnect is an eBay/Gumtree website serving students at U.S. Universities. The first task on the project was to take all of James’ business ideas and turn them into a functional set of requirements. This was done to make it clear what would be delivered, and when. James had lots of ideas about what the site could be and what it could do but it was important to ensure that the core process was sound before any further features were built. Once the requirements were complete we then worked with Scott Jones to create the designs. The site relies on users adding listings and therefore it was important that we made this as simple as possible. We did this by creating a distraction-free process which made it clear if the user had filled out form fields with the correct data. 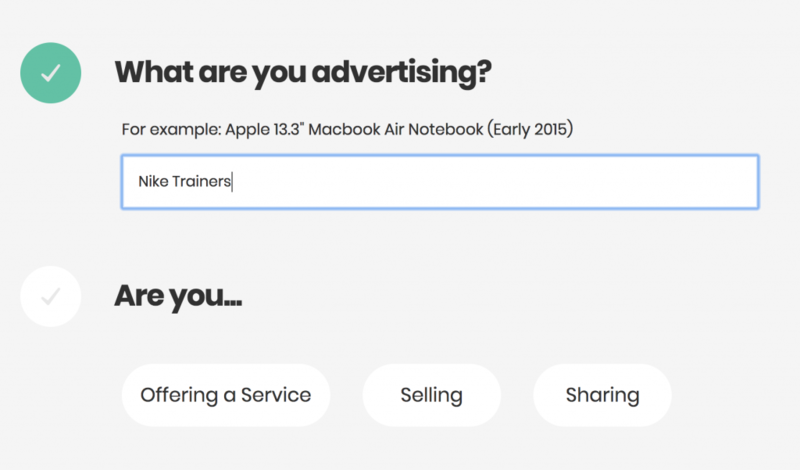 James wanted a social element to the site – he wanted to make it easy for users to message one another about listings before they bought or borrowed them. I created a custom messaging system to handle this by setting up custom tables to handle the data and not clog up the posts table which is very important for performance when the sites become heavily used. We worked with Steve for a year on our platform’s development - from start to finish. He has a fantastic knowledge of WordPress, and this meant each hour spent was productive and efficient. More importantly, he has a critical mindset that helped to shape our direction and strategy. We highly recommend Steve to anyone who is looking for both excellent web development and strategic direction. Listings can be borrowed as well as bought. This process required us to create a calendar to allow the sellers to set unavailable dates for their listing to be borrow. 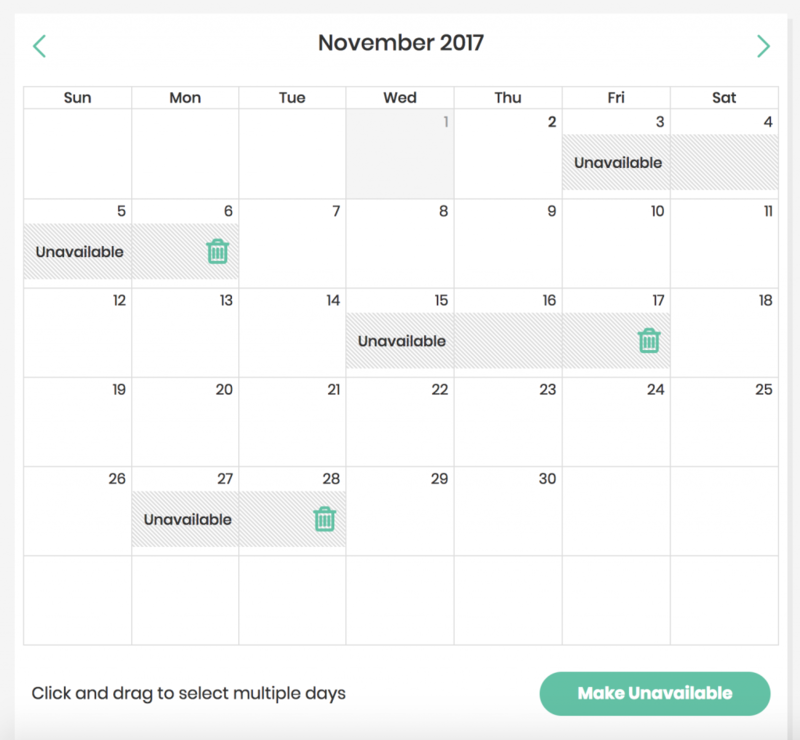 We needed to make a user friendly solution to easily add dates of unavailability. These dates are then reflected when a buyer attempts to borrow the item – unavailable dates cannot be selected. James wanted an easy way to set up a new website when they rolled out to new University. To do this I used WordPress Multisite in order for James to enter a few details about the University, click a button, and the site would be set up and ready to use. I also used the Customizer to allow branding options per site (colours, logo images) so the individual Universities could have unique features specific to them. As CollegeConnect moves out of beta there are now lots of developers working on my code to add new features to the website as business moves onwards and upwards!